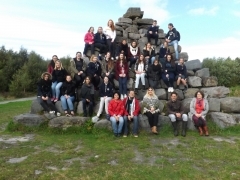 ''The Killina Presentation Secondary School French Exchange 2015 began in earnest on 21st September 2015 when 12 French students from the Lycee Professionnel Francois Clouet, of Tours arrived in Tullamore to begin their week of living with an Irish host family and attending school at Killina Presentation School. Their first morning was spent at school accompanied by their teachers, Madame Isabelle Pedanou and Monsieur Alain Destouches. In the afternoon they visited the Rahan Churches with Sister Oliver and Sister Marie, as well as a trip to the ancient monastic site at Clonmacnoise. The following day was spent at school, as well as having a visit to the Boora Amenity Site, enjoying a long walk in the wilderness and admiring the fantastic metal and wooden sculptures on display. 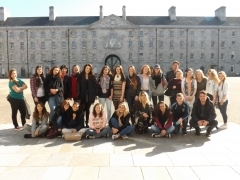 The French group and their Irish exchange partners enjoyed a day at the National Ploughing Championships at Ratheniska, as well as a day trip to Dublin, where they visited exhibitions at the National Museum of Collins Barracks, Trinity College Dublin and enjoyed the shopping experience of Grafton Street. 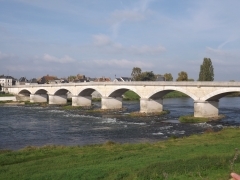 The second leg of the Exchange began on October 5th when the Irish group departed from Dublin and were met at Tours Airport by their French friends. They received a fantastic welcome on Tuesday at the Lycee Professionnel by Madame Francoise De Vos, the principal of LP Clouet, who gave a presentation of the school. 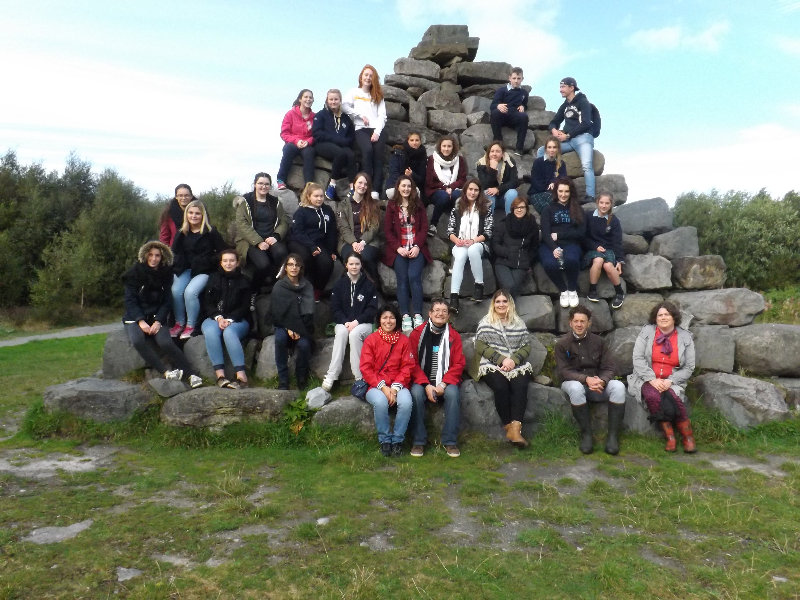 Irish students and their teachers, Ms Kelly and Mr Lyttle, enjoyed visiting the classes which last for 55 minutes. Students experienced a Cookery class, where they learned how to make croissants and apple turnovers/chaussons aux pommes, as well as visiting English, Mathematics and Science classes. Students were able to attend the Fashion Workshops/Ateliers, where they watched French students learning how to make various items of clothing, including how to fashion a skirt pocket. 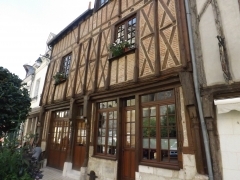 The activities enjoyed by the Irish students included a trip to the bowling alley, a visit to the Chateau de Langeais, a walking tour of the town of Tours, and a visit to the Theatre on Saturday evening. 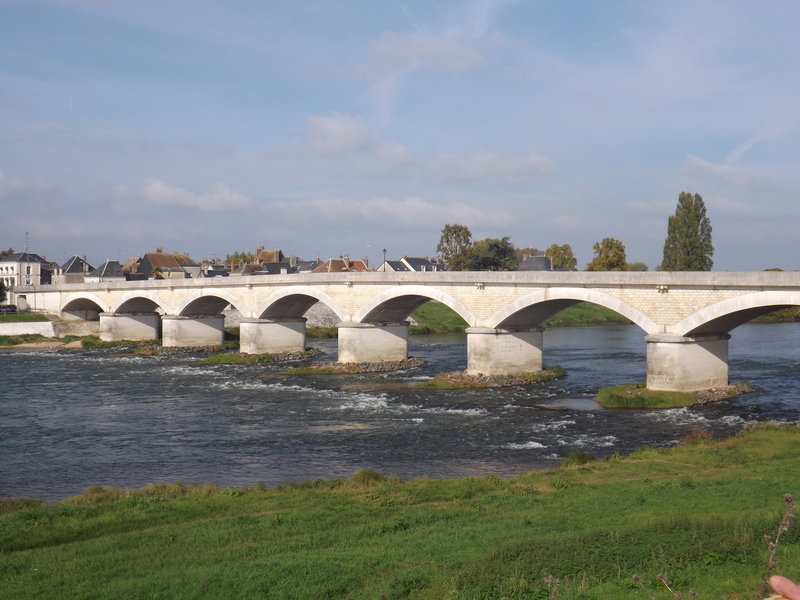 Tours and its surrounding area, La Touraine, is famous for its castles as it is situated on the Loire river and the Loire Valley is also famous for wine production, cheeses and rillettes, a type of meat preparation similar to pate. 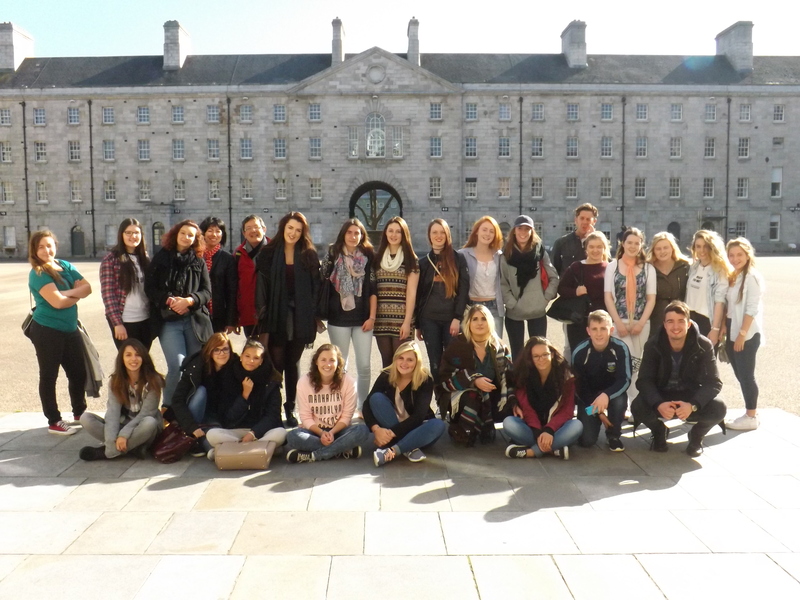 The exchange was a fantastic opportunity for the French students and their teachers to appreciate the differences between school life in Ireland and France. The French school day begins at 8:30am and concludes at 5:30pm.